Upgrade installing. Please do not switch off your fighting force. 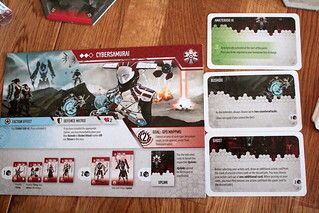 Besides their combat units the Cybersamurai can produce an array of upgrades. Their different effects easily make the samurai the most flexible faction in Tsukuyumi.